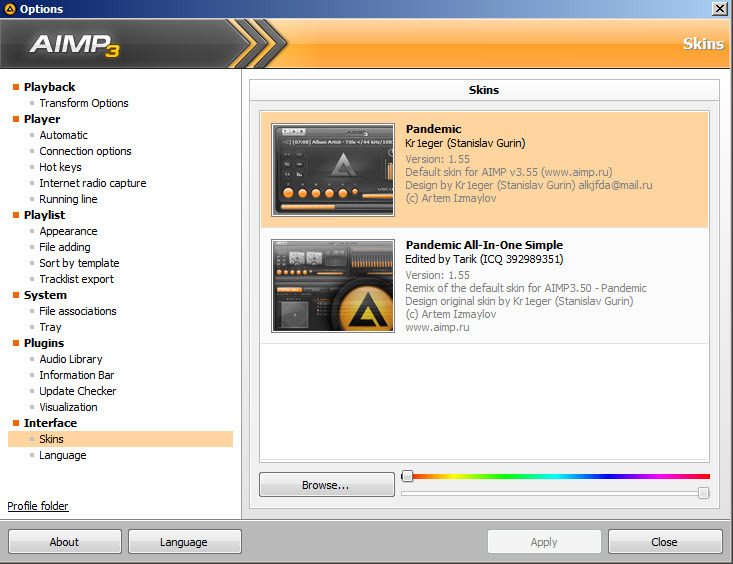 AIMP is an audio player able to load all popular file formats such as mp3, aac, m4a, ac3, flac and others. The program was released first time in 1996 by Artem Izmaylov, a Russian developer and now it has a large popularity. 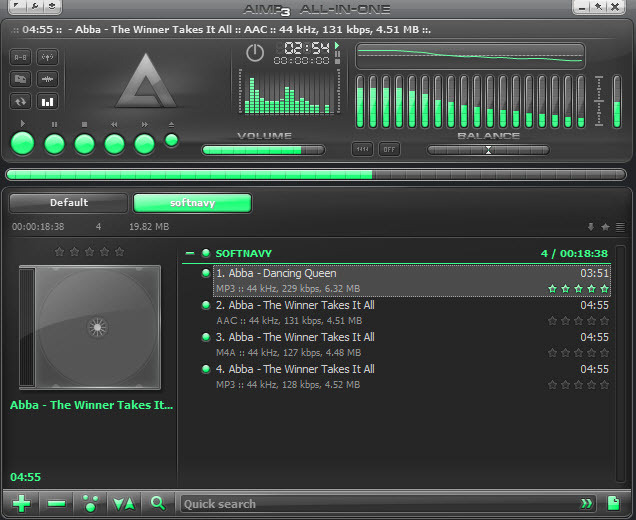 The classic Winamp is exceeded by AIMP due its easy of use, modern design and features. The program supports to create different playlists, it supports hotkeys for different commands, can capture internet radio, displays an equalizer where you can customize each aspect of the audio playback or use a built-in one. Listening music is an entertaining and relaxing activity, so AIMP comes with a powerful skin manager where you can change the appearance of user interface to any color using drag&drop. 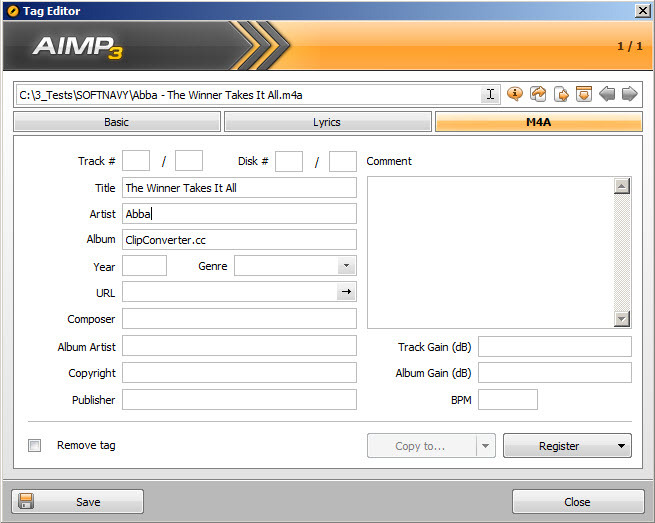 Furthermore, this program includes a tag editor to edit data such as artist or song name and an audio converter. 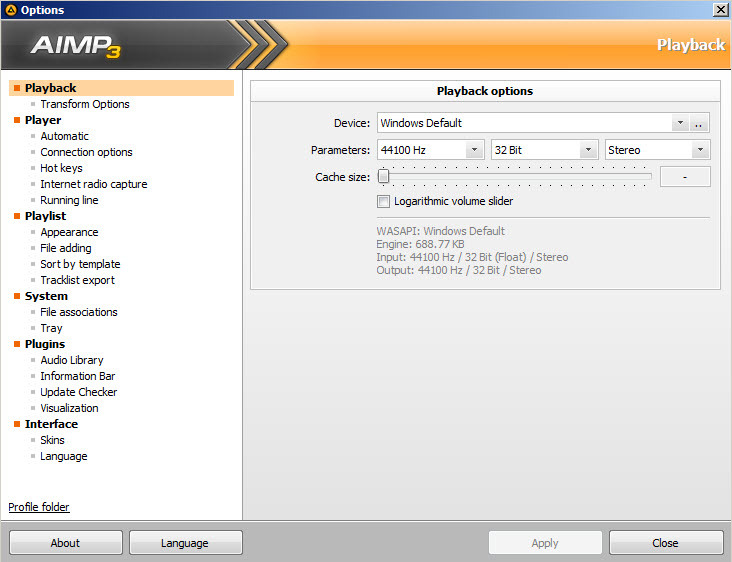 AIMP is available as free download for Windows 32-bit and 64-bit. 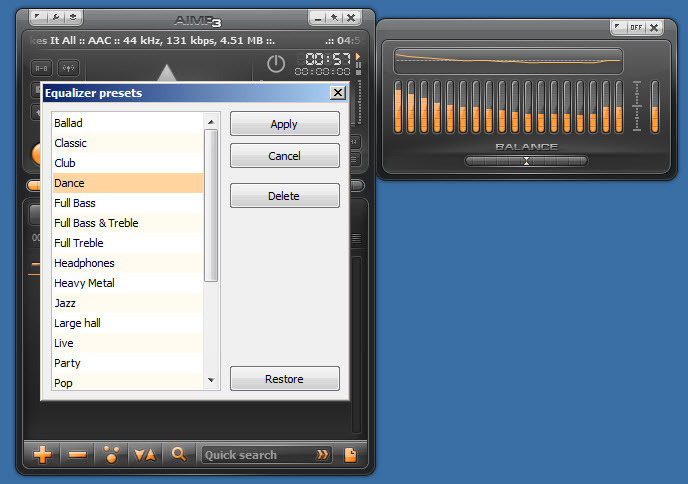 AIMP is 100% clean and safe to install. You can see the test results here.